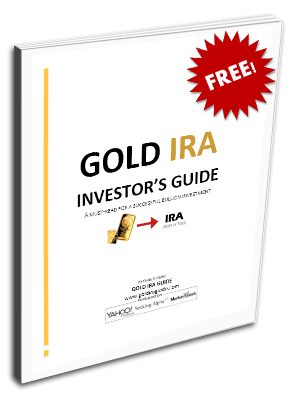 Gold IRA Guidegeneral China Is The New Stock Market Benchmark; Like It Or Not! China Is The New Stock Market Benchmark; Like It Or Not! Until not so long ago when the US stock market sneezed the rest of the major markets around the globe got the shivers. That scenario has been reversed as we have seen recently after two Chinese stock market routs. The start of the year brought stock market weakness across the globe. On Jan 7th the Chinese stock market lost 7% in one day. The US stock market followed suit and the S&P 500 dropped 2.12%. China at the time had circuit breakers in place, which stops all trading once the 7% limit is reached. This instrument which was implemented with all the best intentions was probably the main reason for the sudden drop. Investors knowing that there was a good chance that trading may be stopped all rushed for the exit, only making matters worse. Trading that day only lasted 15 minutes. Last August the SSE composite Index lost 20% in the space of four trading session, from August 20th to August 26th. Over the same period the S&P 500 dropped 10.75% going from an open on August 20th of 2072 to a day low of 1850.25 on August 26th. It is certainly beginning to look like there is a strong correlation and the leading market seems to be the least expected one. There is also a lot of talk in the media of worries over the Chinese markets. This talk reaches journalists from various market players, like Hedge Fund and Mutual Fund managers or other institutional traders. Is there a real cause for concern? It can’t be argued that there has been a slowdown in the Chinese economy, the past several months have shown some weak economic data. The chart below shows the progressive decline in GDP growth over the past year. More recently Manufacturing PMI was released lower than expected on Monday 4th and General Service PMI released on Wednesday 6th was also lower than expected. However China’s economy is still expanding, last data shows GDP Growth at 6.9%. That’s impressive compared to growth in developed countries. The problem lies in that this slump is much greater than expected and the market is not completely sure at which level it will stop slowing. Is there more Stock market decline to expect? The US stock market has had its worst start of the year on record. During the first four trading days of 2016 the S&P 500 lost 4.9% or 100 points. But that is only part of the story, when considering its all-time high in May 2015 at 2137.00 it has lost 8.80% as of Friday 8th close. Non-farm payrolls released on Friday 8th showed that the US added 292 thousands jobs. Yet the Stock market barely seemed to notice. The S&P 500 went from 1957.75 before data to touch 1972.25 within 5 minutes after the data release. However that was all the rally lasted, by the end of the session the index was down again at 1949.20. There are three factors that weigh heavily on a continued stock market rally. The first one is the dark cloud of higher interest rates happening at a pace that will suffocate economic expansion. The second factor is a probable slow global demand with a meltdown in China leading the way. The last factor but not the least, is the stock market’s worst start to the year ever. Should the Chinese market be a driver of the US stock market? China has grown at such a fast and sustained rate that it is now the world’s second largest economy. That alone means that a slowdown in China will be felt heavily by its largest trading partners. It is easy to imagine that other South East Asian countries would suffer the most in this case, as they are net exporters to China. Whereas this scenario is not the case for the US as it is a net importer from China. The table below shows the US Exports and Imports to China from 2007. You can see that the imports are much greater than exports. For most of the past eight years imports have exceeded exports by a multiple of 4. In 2014 imports from China amounted to $466.8 billion, China’s GDP for 2014 was $10,360 so that equals 4.5% of GDP. US GDP for 2014 was $17,419 which makes US exports to China of $123.8 billion equal 0.71% of GDP. China has also repeatedly been in the news over the past year for buying large quantities of Gold. It may have been the effect of devaluation in the Yuan sending Chinese investors looking for shelter in Gold. But the Chinese government has also been accumulating large quantities of the shiny metal. In July last year the government revealed its official reserves of Gold for the first time; which were 1,658 tons. China now holds 1,706 tons of Gold it has been increasing its holding steadily since 2009. That alone may not be enough to make you wonder what China’s position will be in years to come but I couple it with another fact. Recently the IMF made a move to make the Yuan a Reserve currency. The meaning of this move may have little financial effects for the currency. In fact the currency has been devalued again in attempt to spur exports and reignite the economy. Perhaps it is more of a symbolic one, but it indicates how wide spread the use of the Redback is and its position within the global foreign exchange and trade markets. China may not be as important as other countries for trade to the US but it is a very big economy and is now capable of creating concern across the globe, extending its reach to developed economies. It is to be expected I guess as the Chinese economy represents 16.7% of the world GDP.